This very large tree stands amongst a fine collection of aproximately forty species of Eucalyptus and Corymbia located in Cornwall Park. 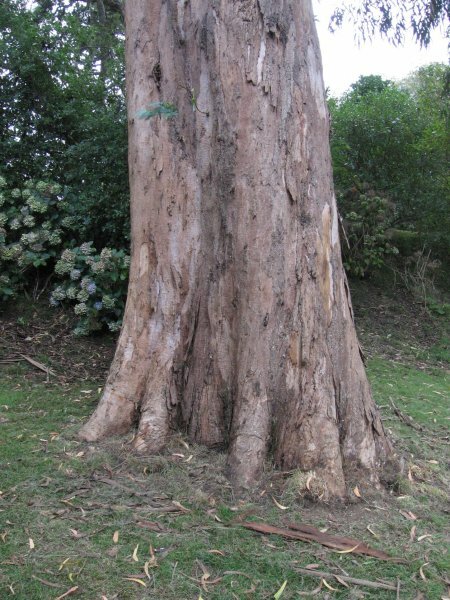 The tree is considered to be the largest and oldest in New Zealand by former forestry scientist and Eucalyptus specialist, Mike Wilcox. Cadwallader, 2011. In good health. Some mechanical wounding from lawnmowers. 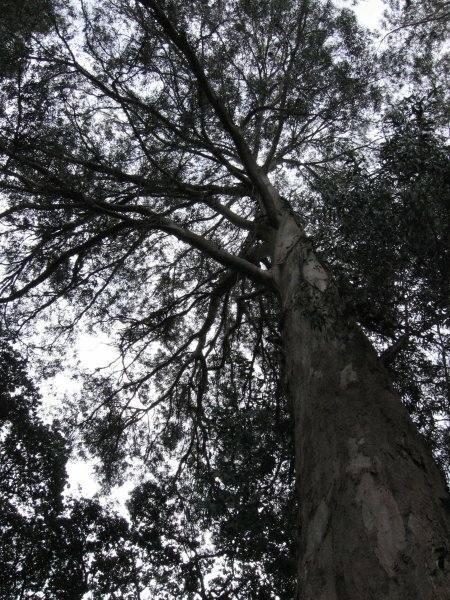 An excellent single stemmed specimen drawn up by the close planting of the eucalypt stand. 18 Feb 2011 Cadwallader, B.G. & Gould, B.C. 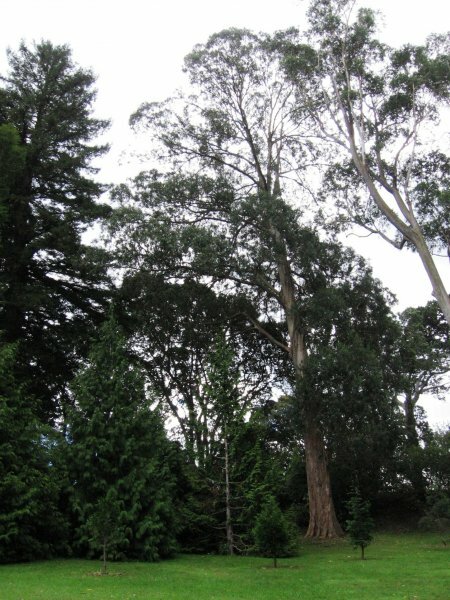 At the south-western end of the eucalyptus collection and a short distance from the visitor information centre.